Ilford was first recorded in the Domesday Book of 1086 as Ilefort, meaning ford over the River Hyle (an early name for the Roding). At that time, it was a small village occupying both banks of the river, and indeed it was not until the nineteenth century that it finally became suburbanised. Little Ilford, on the west bank, is part of Manor Park; Great Ilford, on the east bank, part of Barking. The then Abbess of Barking, Adelicia or Adeliza, founded a hospital for thirteen elderly and infirm men here in the twelfth century, around 1145, and dedicated it to St Mary the Virgin. A later Abbess, Mary, extended the hospital in around 1180, and re-dedicated it to St Mary and St Thomas in memory of her brother, Thomas Becket, the murdered Archbishop of Canterbury. The hospital began to admit lepers in the thirteenth century, around 1219, by which time leprosy had become widespread in Europe (following its introduction from Asia at the time of the Crusades), and was further extended in the fourteenth. It remained in use essentially as a leper hospital until the sixteenth century, when it was seized by the Crown, thereafter becoming alms-houses. It has been still further extended, and large parts of it have been rebuilt, since. 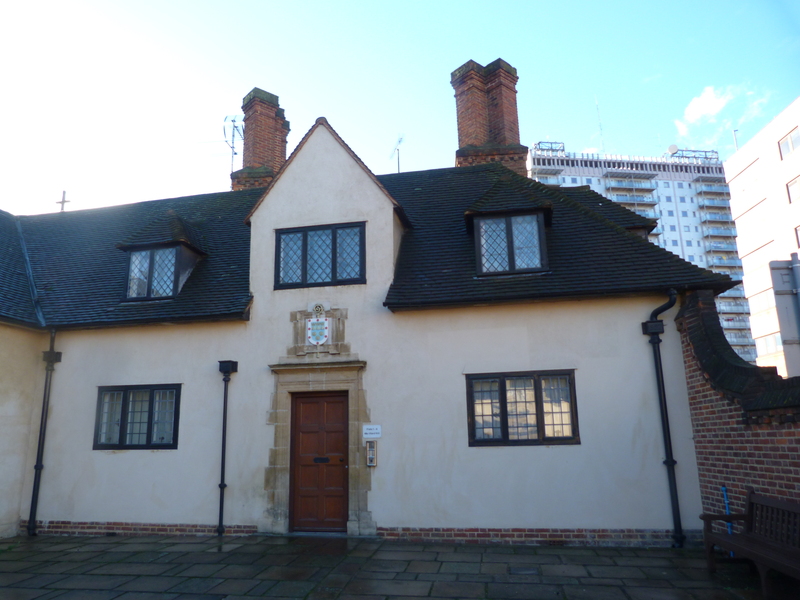 The buildings are currently owned and administered by the Abbess Adelicia Charity. Some surviving parts of the chapel date to the fourteenth century, and some memorials to the fifteenth. Recent archaeological excavations undertaken on the site unearthed some 22-25 skeletons of pre-fourteenth century date, several of them showing signs of leprosy. This entry was posted in 14th Century London, 15th century London, Far flung London and tagged alms houses, Hospital Chapel, Leprosy on July 31, 2015 by Bob Jones - The Lost City of London.